NXP Semiconductors recently launched a new global UCODE 8 RAIN RFID chip platform that’s intended for omnichannel retailer applications. A universal RAIN RFID chip, the UCODE 8 is provides “high inventory accuracy on all retail product categories through best-in-class read sensitivity.” It includes a new auto-adjust feature ensures a consistently high performance read-rate across different product materials and global deployments. 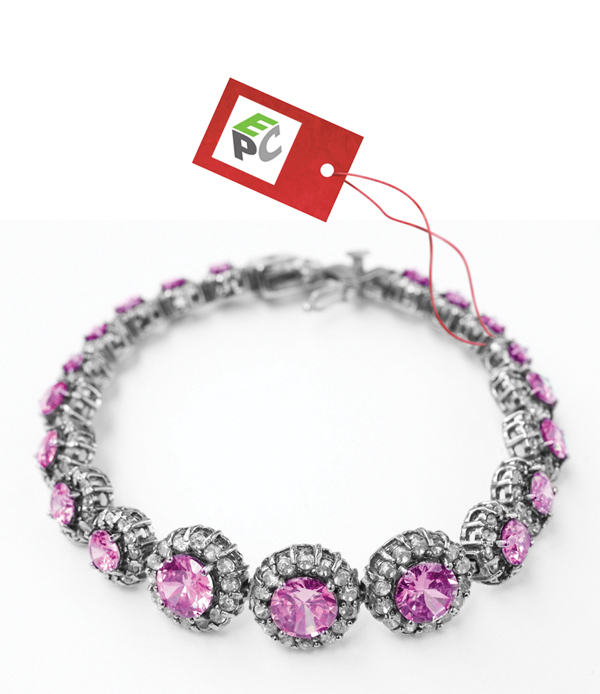 Furthermore, it features a unique brand identifier feature validates product authentication and helps identify fakes. 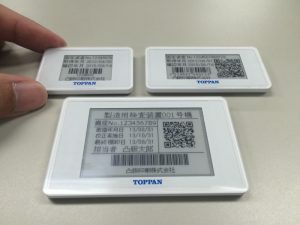 Pervasive Displays recently announced that Japan-based TOPPAN Printing Co. is using its low-power e-paper display (EPD) module in a batteryless RFID EPD tag. 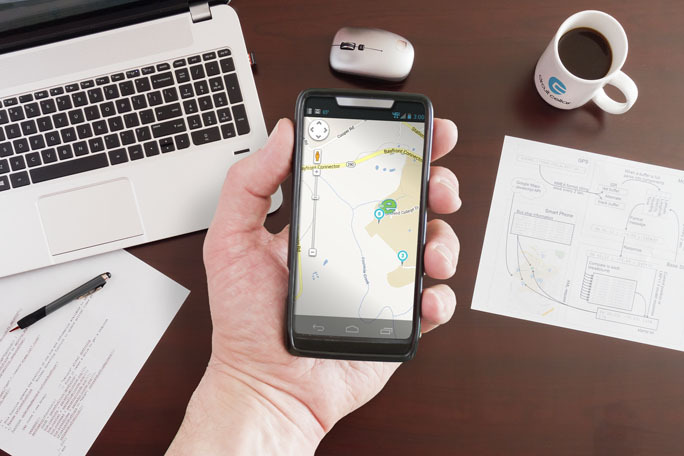 Operating off harvested RF energy, the new solution enables you to update a device’s EPD and RFID tag data at the same time with a smartphone or NFC reader/writer. Pervasive Displays’s low-power Aurora Mb EPD modules require as little as 2 mA current during display update operations. This means display updates can be powered purely by harvested energy from NFC, RFID, solar, or thermal sources. Unlike traditional active matrix LCDs, e-paper technology is bistable, which means power isn’t required to maintain an image on the tag. A backlight is unncessary. Posted in CC Blog, Product News	| Tagged Aurora Mb EPD, display, e-paper, LCD, Pervasive Displays, RFID, TOPPAN Printing Co. The EM4126 EPC radio-frequency identification (RFID) IC is designed to provide RFID tagging on small and/or high-value products (e.g., jewelry and watches). The IC’s high sensitivity enables long read ranges. EM4126-based tags can achieve –21-dBm read sensitivities. The ICs are designed for supply chain management, tracking and tracing, container identification, and access and asset control applications. 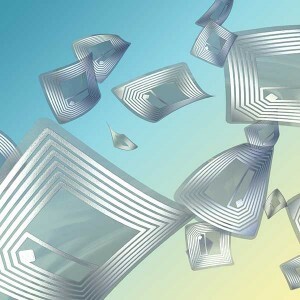 The EM4126’s 224 bits of nonvolatile memory support International Organization for Standardization (ISO) or Electronic Product Code (EPC) data structures and enable SGTIN-198 encoding, which uses alphanumeric serialization represented as a string of up to 20 7-bit characters. The EM4126’s additional features include ISO 18000-63 and EPC Class-1 Generation-2 compliance, 32-bit short-tag identification, 40-to-160 Kbps forward- and return-link data rates, and a –40°C-to-85°C extended temperature range. Contact EM Microelectronic for pricing. Circuit Cellar’s June issue is now online, outlining DIY projects ranging from an automated real-time vehicle locator to a GPS-oriented solar tracker and offering solid advice on bit banging, FPGA reconfiguration, customizing the Linux kernel, and more. A persistent problem typically sparks the invention of projects featured in our magazine. For example, when the campus at Penn State Erie, The Behrend College, had a growth spurt, the local transit authority provided a shuttle bus to help students who were rushing from class to class. But ridership was low because of the bus’ unpredictable schedule. So a college engineering team constructed a mobile application to track the bus. That system inspired the cover of our June issue and complements its communications theme. The three-part system consists of a user’s smartphone running a HTML5-compatible browser, a base station consisting of an XTend 900-MHz radio connected to a Raspberry Pi single-board computer, and a mobile tracker including a GPS receiver, a Microchip Technology PIC18F26K22 microcontroller, and an XTend module. The Raspberry Pi runs a web server to handle requests from a user’s smartphone. The user then receives accurate bus arrival times. Also aligning with June’s theme, we present an article about implementing serial data transmission through bit banging. You’ll gain a better understanding of how serial data is transmitted and received by a microprocessor’s hardware UART peripheral. You’ll also learn how bit banging can achieve serial communication in software, which is essential when your embedded system’s microprocessor lacks a built-in UART. Recognizing a rapidly unfolding communications trend, this issue includes an inventor’s essay about how the presence of Bluetooth Low Energy (BLE) in the latest mobile devices is sparking a big boom in innovative hardware/sensor add-ons that use your smartphone or tablet as an interface. 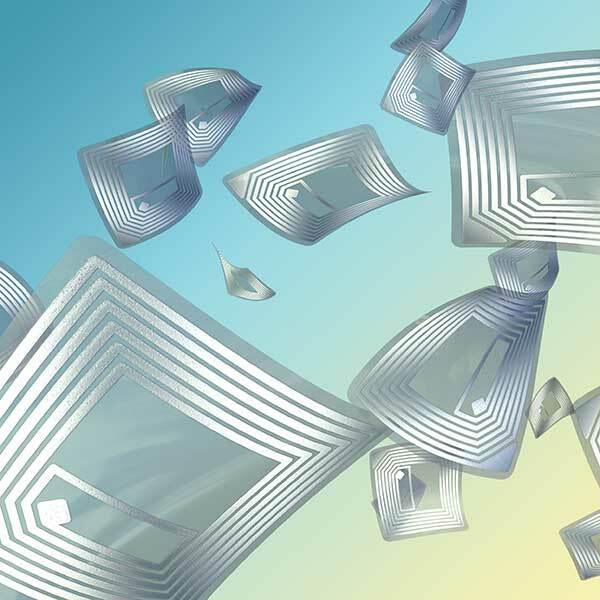 Other communications-related articles include Part 2 of a close look at radio-frequency identification (RFID). This month’s installment describes the front-end analog circuitry for the RFID base station of a secure door-entry project. In addition, we offer articles about adjusting your FPGA design while it’s operating, modifying the Linux kernel to suit your hardware and software designs, tools and techniques to boost your power supply, digital data encoding in wireless systems, GPS orientation of a solar panel, and an interview with Quinn Dunki, an embedded applications consultant and hacker. The June issue is available for membership download or single-issue purchase. The industrial, scientific, and medical (ISM) bands are radio frequency ranges freely available for industrial, scientific and medical applications, although there are also many devices aimed at private users that operate in these bands. ISM devices require only general type approval and no individual testing. Source: Wolfgang Rudolph & Burkhard Kainka’s article, “ATM18 on the Air,” 080852, Elektor, 1/2009. The radio communication sector of the International Telecommunication Union (ITUR) defines the ISM bands at an international level. Wi-Fi and Bluetooth operate in ISM bands, as do many radio headphones and remote cameras, although these are not usually described as ISM devices. These devices are responsible for considerable radio communications interference (especially at 433 MHz and at 2.4 GHz). Some countries allocate further ISM bands in addition to those above. ISM applications have the lowest priority within any given band. Many bands available for ISM are shared with other spectrum users: for example the 433 MHz ISM band is shared with 70 cm amateur radio communications. ISM users must not interfere with other users, but must be able to tolerate the interference to their own communications caused by higher-priority users in the same band. The band from 868 MHz to 870 MHz is often mistakenly characterized as an ISM band. It is nevertheless available to short-range radio devices, such as RFID tags, remote switches, remote alarm systems, and radio modules. For more information, refer to Wolfgang Rudolph & Burkhard Kainka’s article, “ATM18 on the Air,” 080852, Elektor, 1/2009. Product Information: Are you looking for a unique system to identify your PCBs and electronic devices that is fast, copy-proof, reliable, and virtually indestructible? Are you tired of fighting with illegible EAN codes, ripped-off labels, and product piracy? Beta LAYOUT has the perfect solution: MAGIC-PCB, the RFID PCB identification system. Imagine your bare PCB could “invisibly” contain the board revision, bill of materials, firmware version, documentation link, schematics and layout file, date code, and manufacturing plant information without using any space. MAGIC-PCB RFID tags are embedded into PCBs at an early stage of PCB production. Use this exciting technology in your product design cycle to authenticate, track, and protect your product. 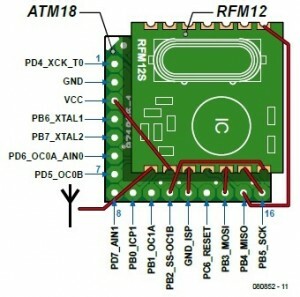 For more information, visit www.pcb-pool.com/ppus/info_pcbpool_rfid.html. Beta LAYOUT also offers the UHF RFID Kit, an ideal tool to research RFID technology without major investment. The kit costs $385 and includes a write-read module with a USB port, a USB cable (to the PC), antennas for medium/long range and short range, a connecting cable antenna to the write-read module, a MAGIC PCB with an embedded RFID chip, four mini PCBs with RFID chips (different ranges), and RFID chips for different antenna designs. The reader can bulk read up to 255 transponders. For more information, visit www.beta-estore.com/rkus/index.html. Exclusive Offer: A discount will be offered to Circuit Cellar readers who purchase a UHF RFID starter kit. For more information, contact Tony Shoot tony.shoot@beta-layout.us.